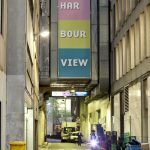 Har Bour View was temporary laneway artwork that comprised a large text banner fixed to the wall of the elevated brick corridor joining the buildings on either side of narrow Wynyard Lane. 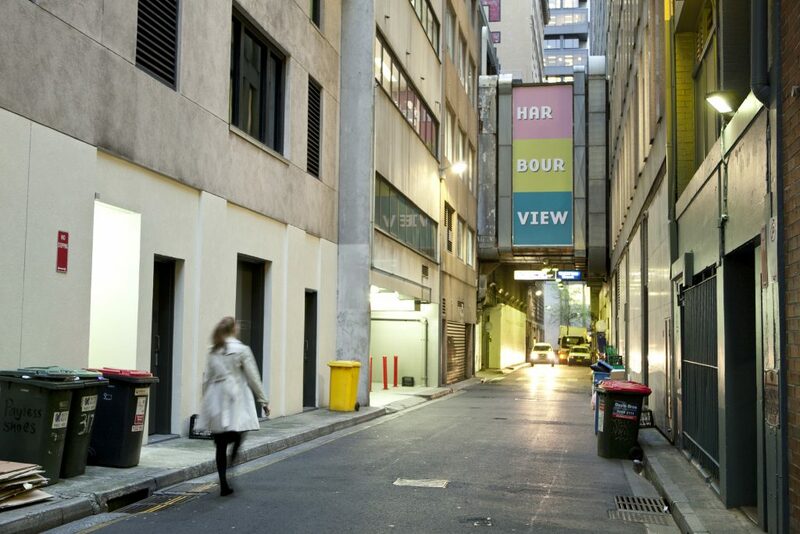 The banner displayed three horizontal panels in pastel colours with large writing in white capital letters. 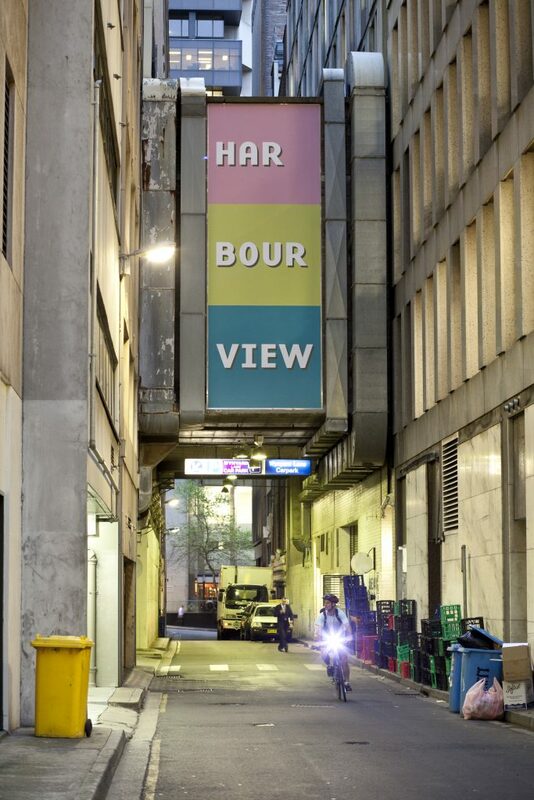 Obviously a view of Sydney Harbour from your balcony is the most desirable, but HAR BOUR VIEW, installed as a large scale text banner in Wynyard Lane, encourages the viewer to think about other views as this is clearly no HAR BOUR VIEW. 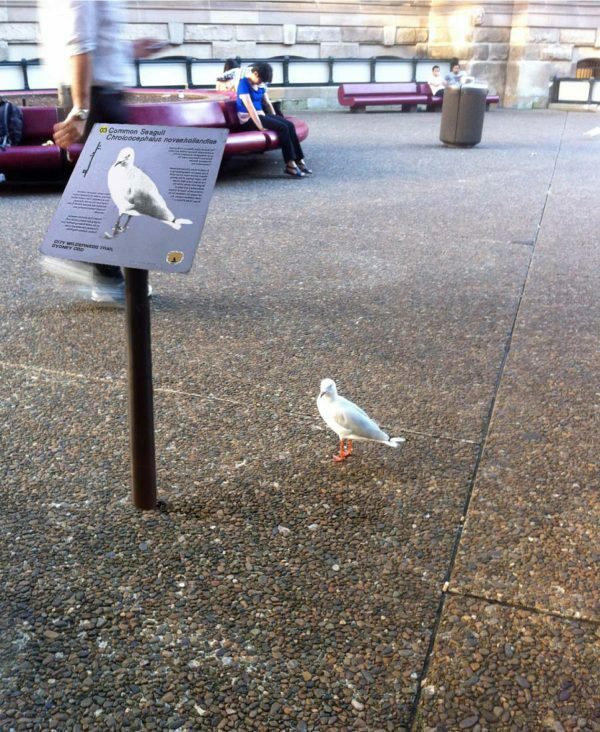 There are many different kinds of views. 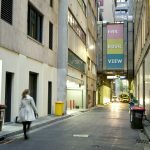 Other people’s views, the view from the bus window, the view across the bar or the view down a city laneway during your lunch break, where you discover a familiar text has been rearranged. Jon Campbell was born in Belfast, Northern Ireland and now lives and works in Footscray, Victoria. Campbell’s art is focused on text-based works. 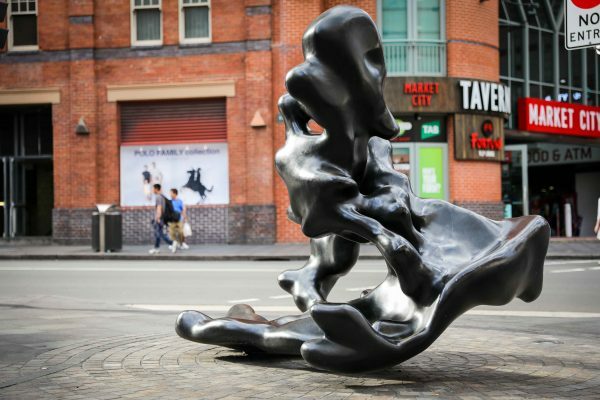 He has held solo exhibitions in Melbourne, Canberra Christchurch and Hong Kong, and has participated in numerous group exhibitions in cities including Sydney, Melbourne and Stamford, USA. His work is held in several Australian collections including the Museum of Contemporary Art in Sydney, the National Gallery of Victoria in Melbourne and the National Gallery of Australia in Canberra.